Why is it important to have a Probationary Period Termination Letter Template? The Probationary Period is designed for you to assess the suitability of your employees whilst they are still at the beginning of their journey with your company. The Probationary Period is a great way to protect yourself and your business as there is more flexibility in the probationary period than if they have completed it successfully. But what if your employee hasn’t performed well and you decide to terminate their employment within their probationary period? 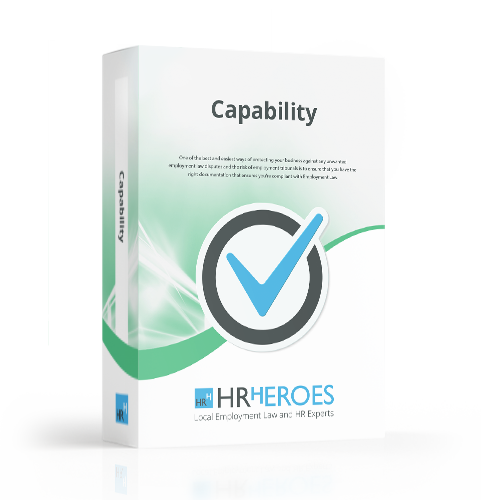 HR Heroes Probationary Period Termination Letter Template will provide you with the guidance you need in a simple, compliant,easy to use format. HR Heroes Probationary Period Termination Letter Template will confirm to your employee that you have decided to terminate them and why. You need to provide a copy to your employee for their records and retain one on their personnel file too.